You can't go wrong with chocolate"
oh Nigel, you know how to get to a woman's heart.... lol!! Beautiful. i'm with Tracey. 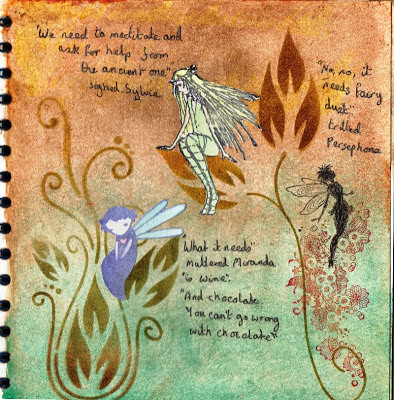 Miranda is a VERY clever fairy! Wine and chocolate...that's all any of us really need isn't it? A little brie now and then is nice, as well. 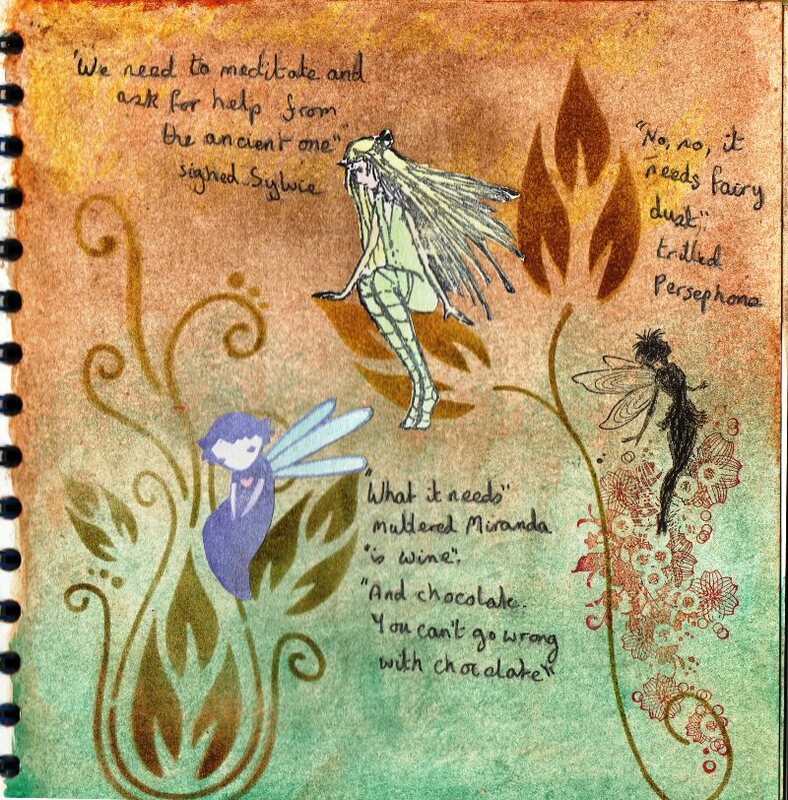 Love the fairies, Nigel, and the background colors are great. Nice work.